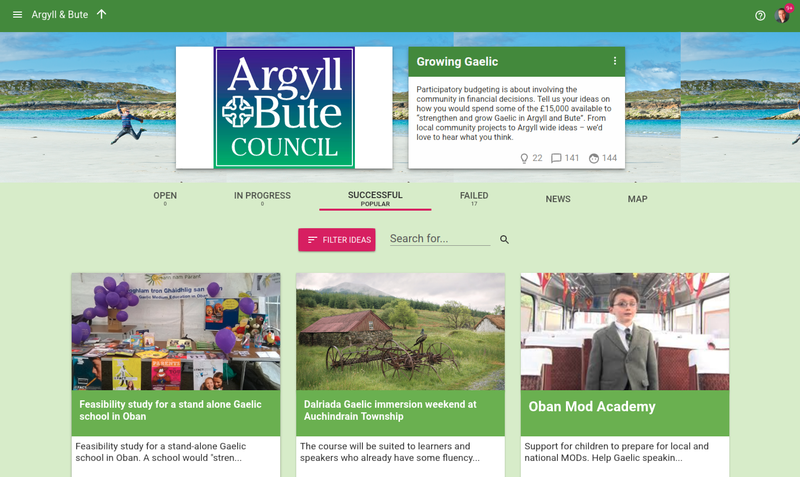 Argyll & Bute started late 2016 by collecting ideas for Growing Gaelic in a small pilot project with Your Priorities on how to spend 15.000 GBP on growing the Gaelic language. 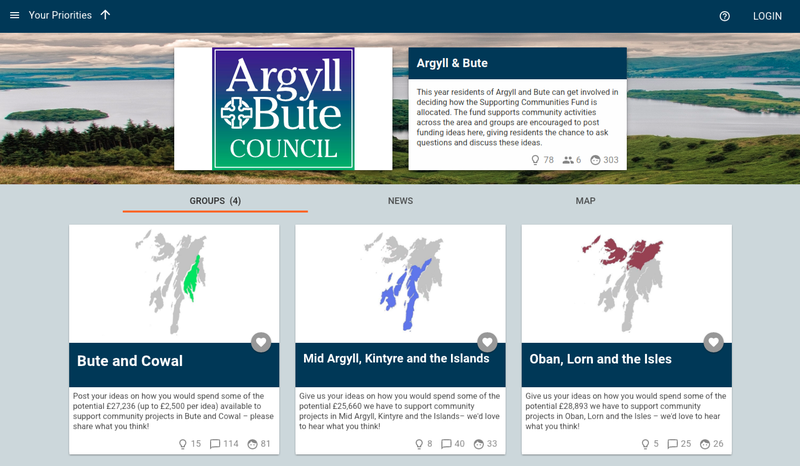 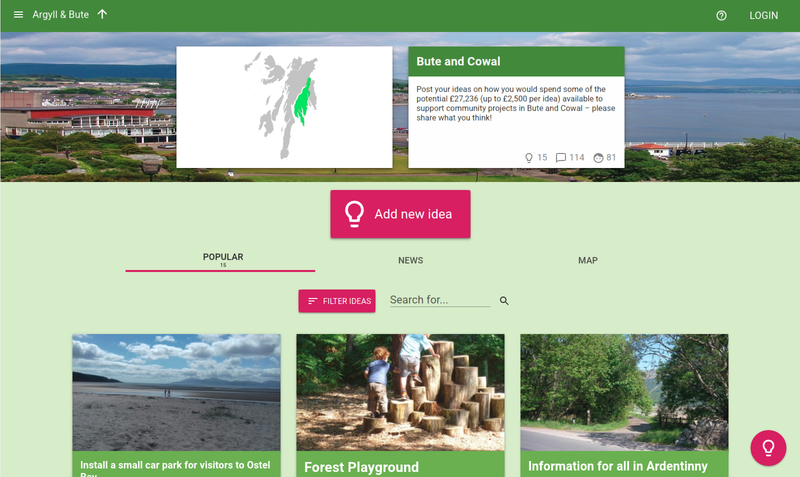 Then in April 2017 Argyll & Bute used Open Active Voting to vote on the ideas submitted in the first phase. 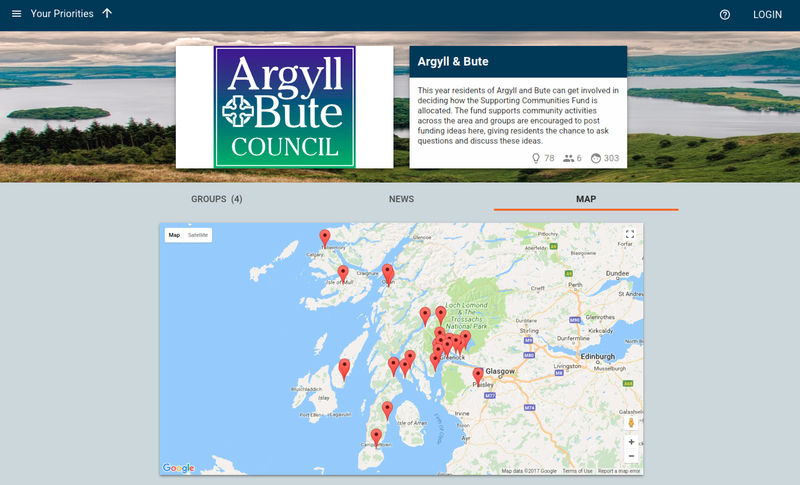 In November 2017 Argyll & Bute started the second idea generation drive: “This year residents of Argyll and Bute can get involved in deciding how the Supporting Communities Fund is allocated. 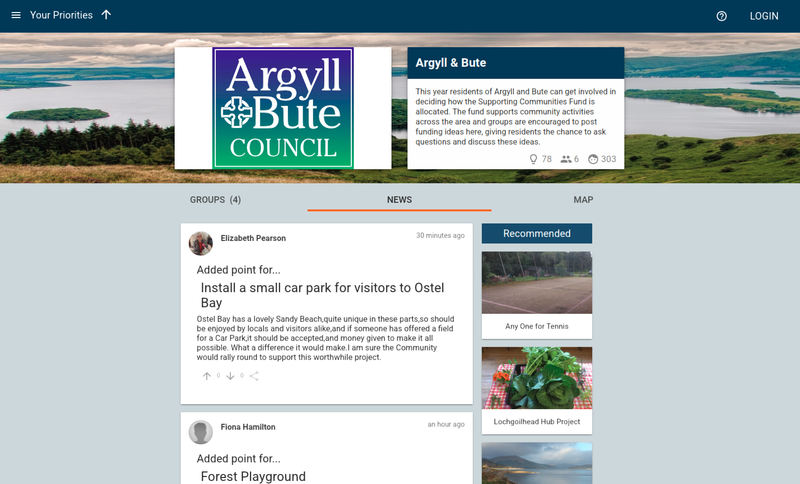 The fund supports community activities across the area and groups are encouraged to post funding ideas here, giving residents the chance to ask questions and discuss these ideas.” Voting on those ideas is scheduled for spring 2018. 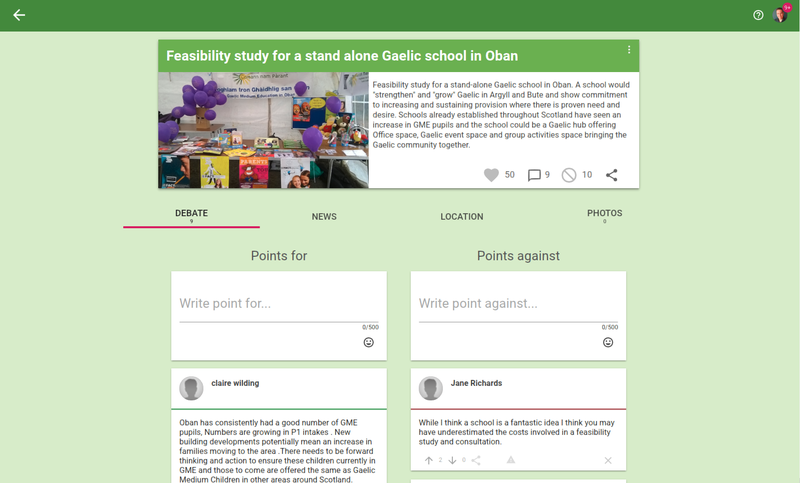 This project is in cooperation with CF’s partners Democratic Society.